Conor Munn, a second-year student in Holland College’s Photography and Digital Imaging program, won Student Photographer of the Year at the Professional Photographers of Canada, Atlantic annual convention and image competition. 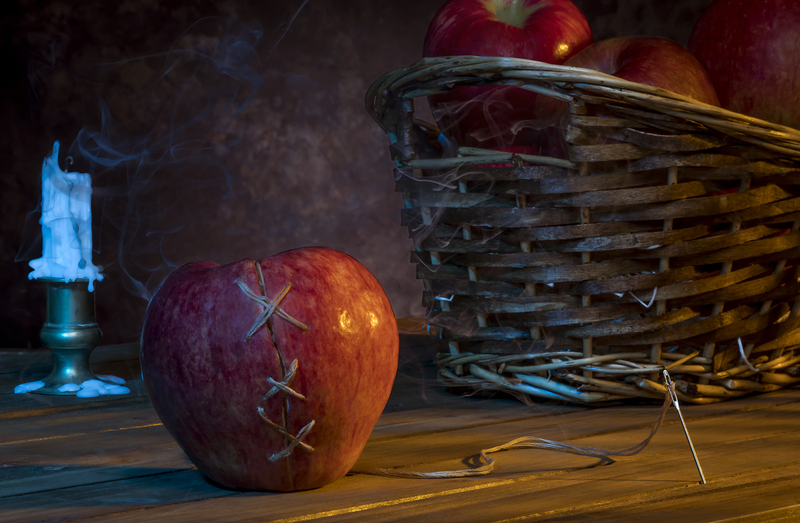 Conor’s image, entitled Victor’s Apple, was one of two that he submitted for the juried competition. His class mate, Makayla Nickerson, also received a merit award, the second highest honour, for her image, Beautiful Mess, which won first runner up for the top honour of Student Photographer of the Year. All six of Holland College’s Photography and Digital Imaging students entered the competition, submitting a total of 19 images. Seven of them where accepted, and two received merits. Instructor Jean-Sébastien Duchesne said the students’ success at the regional competition is laudable. “This is a very good result, considering all images are judged anonymously and the judges don’t know whether they are looking at the work of a student or a professional photographer,” he said. Conor and Makayla may now submit their photos to the national competition and are guaranteed to be accepted at that level. The national convention will take place in Montreal in April.